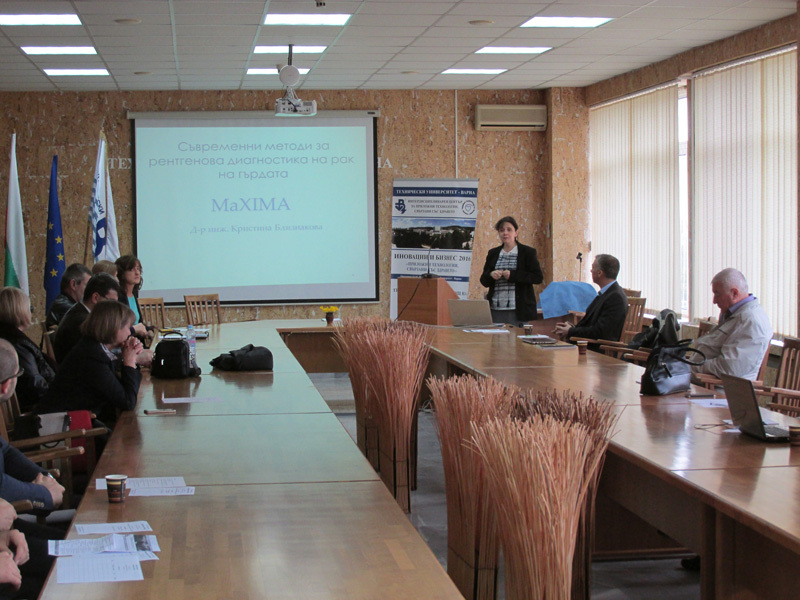 Members of the MaXIMA project team participated in the II-nd Scientific Forum “Innovation and Business”. 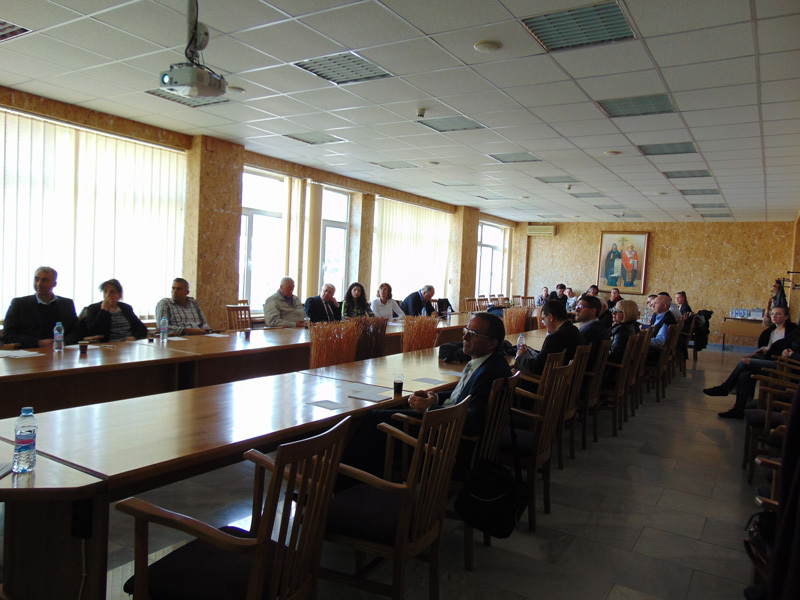 The forum was hosted by the Technical University of Varna during 14-15 October 2016. 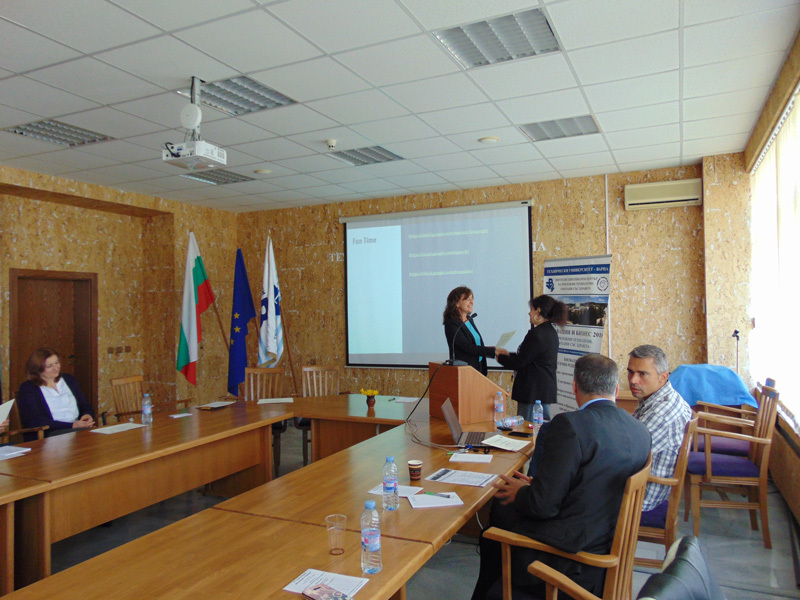 The presentation of Dr. Bliznakova, the project Coordinator, focused on the objectives, preliminary results, as well as, the possibilities of cooperation with SMEs in the region. The areas of collaboration with the business are in software technologies and in innovative technologies for 3D printing. The presentation of Dr. Bliznakova generated high interest amongst the representatives of the private sector who attended the forum. 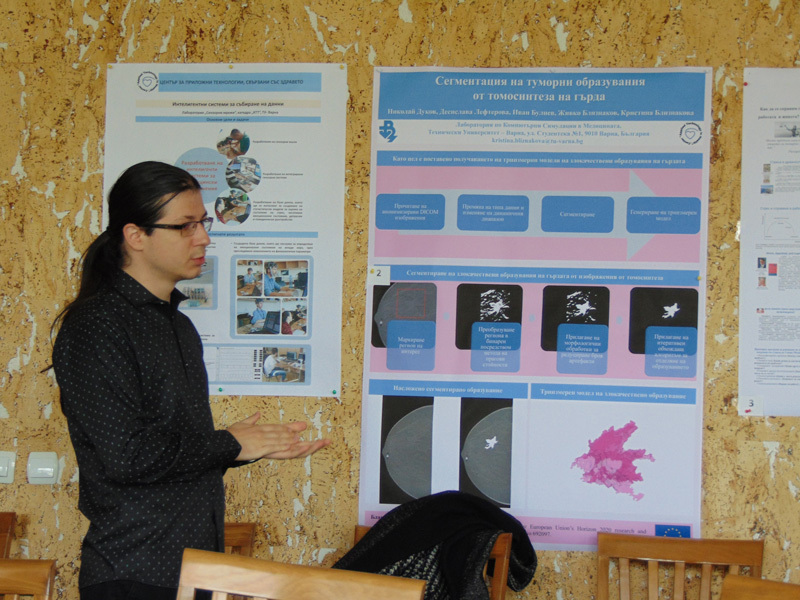 An indisputable indicator of the high recognition for the work of the team was the prize THE BEST POSTER on “Segmentation of tumours from breast tomosynthesis images” with authors Nikolay Dukov, Desislava Lefterova, Ivan Buliev, Zhivko Bliznakov and Kristina Bliznakova. 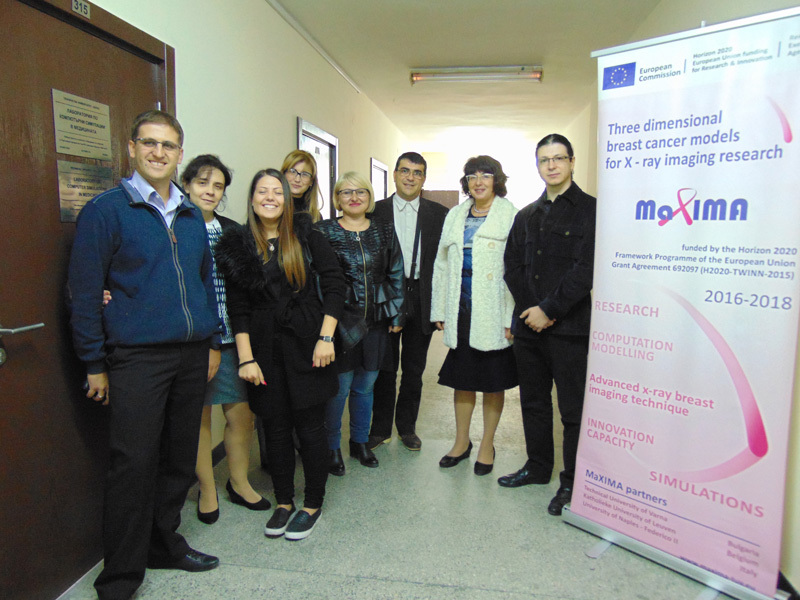 Within the framework of this forum, a Workshop on “New methods for X-ray diagnosis of breast cancer”, organized by the MaXIMA consortium, also took place.